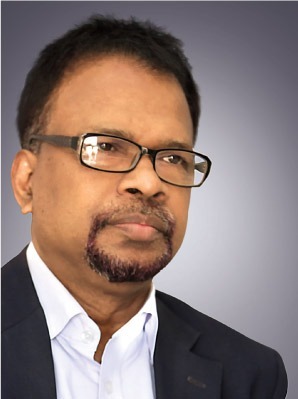 Mr. Tapan Kanti Sarkar is the founder president of CTO Forum Bangladesh and a member of American Computer Society, member of UK Computers & Law and a Fellow member of SAARC CTO Forum. 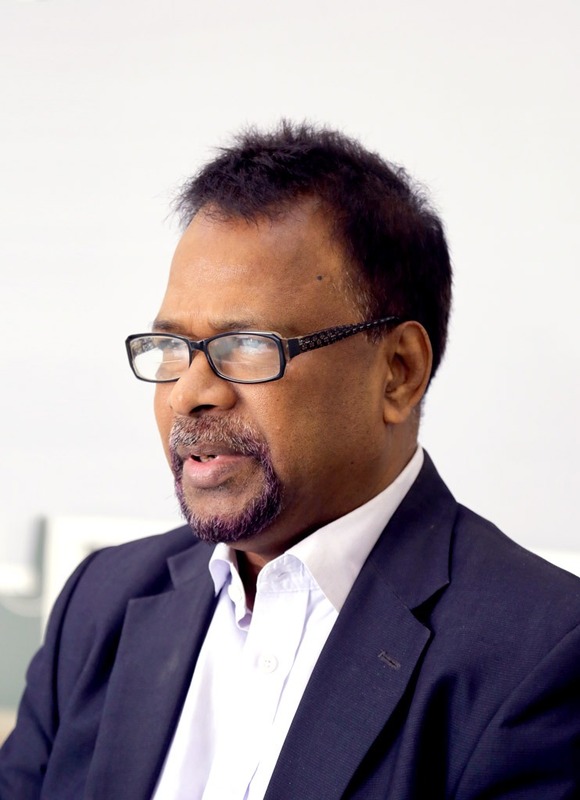 Mr. Sarkar has more than 30 years of experience in the field of Information and Communication Technology. He did his graduation with Honors from Chittagong University and completed Masters from Dhaka University and studied MS in Computer Science from USA. He started his career in 1980 as a Programmer in a multinational pharmaceutical company, named Bristol-Myers Squibb with overseas assignment in Egypt & USA. Then he worked as MIS Manager at Beximco Group and worked as Head of IT at IFIC Bank. Now, he is working with NCC Bank as Chief Technology Officer from 2007. He has professional certifications from some world renowned IT Companies, like, Microsoft, USA on “Building Client and Server Application & Programming using Visual Basics”, certification from IBM, USA on “RPG(Report Program Generator) II programming”, certification on “Enterprise Network Management and DEC OSF/1 Network Management” from Digital Equipment Corporation(DEC), USA, “ICT Innovation in Banking” from AOTS, Japan, “Network Support & Services” from Novell, Singapore, “Project Management Professional (PMP)” from Bangalore, India. He has long experience in strategic alignment of Business and Information Technology by applying most cost effective & innovative techniques. He has shown cross functional team leadership and has technical exposure on Enterprise Resource Planning (ERP) and Process Automation. Some of his expertises are Formulation of Strategic IT Security Policy based on ISO27000, Ensuring IT Compliance in IT Service Delivery, IT Infrastructure development, i.e. Data Center, Disaster Recovery Site, Cloud Computing Infrastructure, WAN, LAN installation etc. He has delivered many key note papers on various critical IT Issues like Enterprise ICT Security, Online Fraud Prevention; Information Security (IS) Audit & Control, Electronic Banking & its Prospects in different IT Seminars/workshops and in training institutes within the country and abroad as well. In the small world of Chief Technology Officers (CTO) of Bangladesh, Tapan Kanti Sarkar AKA TK Sarkar is known to be a doer than talker. He just don’t talk rather he loves to walk his talk. While other CTOs had been planning and procrastinating to bring all the CTOs under one umbrella, TK Sarkar didn’t waste time. He brought them under one umbrella by forming CTO Forum. Now CTO Forum has become the most formidable platform for all of the heads of IT of different business entities to work in unison for pressing their demands to the policymakers. Fintech recently sat with this dynamic doer and talker about his work, his dream and about CTO Forum. FINTECH: How did the journey of CTO forum start? TK Sarkar: I have been working in the IT industry for over 32 years now. The idea of bringing all the heads of technology or IT of different companies was in my mind for long. First of all, you have to understand that the position of CTO or head of IT is not very new. If you go back 20 years, you will find that very few companies had any separate IT department let alone a CTO. But things have changed now. The usage of ICT has become an integral part of even a small business entity. Besides, the numbers of large corporate houses which employ hundreds of people have also increased in the country. To effectively manage a large workforce, there is no option but to incorporate ICT. What I had seen here in Bangladesh is that the CTOs and the head of ITs were working in cluster manners. But the development of the ICT depends on the inter-connectivity and knowledge exchange among the ICT people. Thus I felt the need of creating a network which would bring all the CTOs in one table. From that thought, I formed the CTO forum. FINTECH: When CTO forum was formed, it was mainly comprised of the CTOs of the banks, wasn’t it? TK Sarkar: Yes, it’s true that the CTO forum has started its journey with the CTOs of the banks. This was because, I was in the banking sector at that time and I was planning to have a common platform in where I can share and exchange knowledge about managing the IT department of banks. The issues of knowledge exchange in managing core banking software, bank security measures were very important because through those, I believe, the IT heads of a bank could better manage his/her department. So, at the beginning, we, some CTOs of banks started a forum and we named it ‘Bankers Forum’. After sometimes, when other CTOs got interested to join in our forum, we were advised to rename it as “CTO forum Bangladesh” and then the journey started with this new name. After that, CTO forum expanded to encompass CTOs and IT heads from all the sectors. As I said earlier that ICT is a highly connected world and the banking world cannot distance itself from other business entities for long. Now not only CTOs of private commercial entities, rather CTOs from government entities are also our members. We now have over 400 CTOs as our members. We are now heavily involved with providing guidance to the policymakers. For example, in a number of meetings of finance and commerce ministry, we get invitation to share our knowledge and expertise. If any emergency situation occurs, we send our representative to provide advice and consultancy. FINTECH: How would you define the identity of CTO Forum? TK Sarkar: The CTO Forum is an independent, non-profit, non-political organization dedicated to fostering a trusted, open and creative environment where the brightest minds of our time convene to address the banking industry’s important issues. The CTO Forum members collaborated and developed solutions that harness the extraordinary potential of technology. It also aims to provide a powerful platform where technology leaders and visionaries from around the world can explore topics of interest and share knowledge in an unbiased, trusted and intellectually charged environment. FINTECH: Do you think the CTO Forum has attained success in bringing changes to the banking system of the country? By changes, I mean advancement towards more digitalization. TK Sarkar: You have to understand that the banking industry of our country is still being governed by the people who are very conservative and protective in keeping the old school tradition. Yet I would say that a considerable digitalization has taken place in Bangladesh’s banking sector. The CTOs of the banks have of course played their parts in bringing that digitalization. Because of the constant persuasion of the CTOs, banks have increased their IT investments. The boards of the banks have also realized that without investing in IT, the modern technologies cannot be brought and without modern technologies, banking services cannot be made easy. That’s why we have seen emergence of mobile banking, internet banking services in the country in the last one decade. Of course the job of the CTOs have increased by manifold because of these services but now the IT departments get good manpower to carry out those tasks. Having said that, I have to admit that there are still miles to go in bringing all-out digitalization in the banking sectors of country. But I can assure you that the CTO Forum is trying its best to sensitize the bank’s board, investors and policymakers to fasten the process of bringing those changes. FINTECH: Cyber security of business entity especially of banks has become an issue of paramount importance these days. As a seasoned CTO, what will be your advises for ensuring cyber security? Do you think the CTOs of banks are taking enough measures to ensure cyber security? T.K. Sarkar: It’s no secret that the sheer volume of data being collected and stored in the bank is higher now than ever before. The number of endpoints and systems exposed to the outside world is increasing, which means data no longer remains locked inside a data center. Instead, it proliferates outside of the four walls of business, making it vulnerable to hackers and security threats.With more endpoints to access, and an ever growing volume of data that’s increasingly valuable, it makes sense that security attacks are becoming more sophisticated and persistent. Now, the first, and perhaps most important, step to fighting the hacking and cyber security breaching is education—and this means for everyone, not just the IT team. To be truly secure, everyone from the bank tellers to the CEO needs to be digitally savvy, educated on proper security protocols and up to date about different types of cybercrimes. password or failure to enforce two-step authentication. Every employee needs to understand not just the value of protecting customer and colleague information, but also their role in keeping it safe. Another important approach for maintaining security is implementing a modern technology platform that’s capable of taking a holistic approach to cybercrime. That means combining a variety of defenses—including business operations, management oversight and independent audits—with sophisticated compliance analytics that are able to predict and proactively react to threats before a breach even occurs. 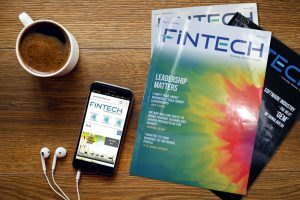 FINTECH: What are the ideal characteristics of a CTO? Can anyone become a CTO or he/she needs to have certain qualities? TK Sarkar: A CTO should be the ‘most technical business person’ and his/her goal is to build a great company, not only a technology which just sounds cool. Let’s make it simpler – the primary job of the CTO is to make sure the company’s technology strategy serves its business strategy. 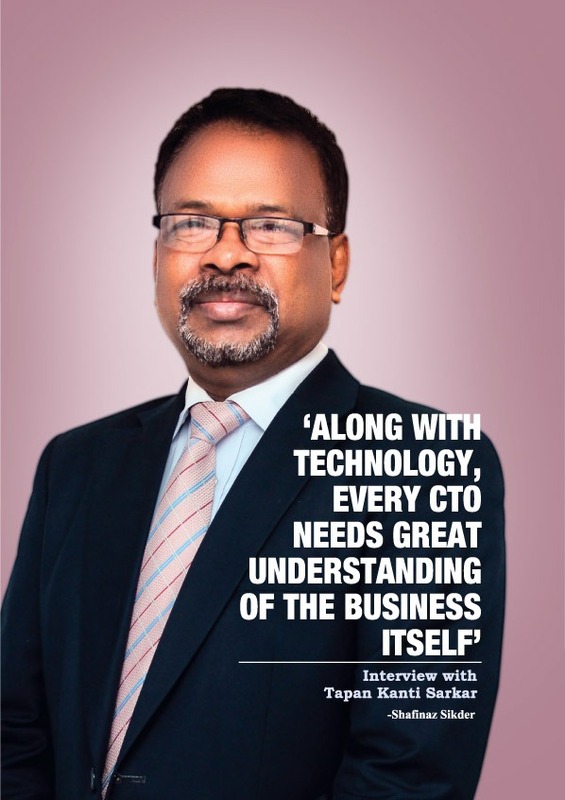 I strongly believe along with technology understanding every CTO needs great understanding of the business itself. The role and responsibilities are kept changing depending on the company size. In case of startup it starts from setting up an office Wifi router for the first office, first product coding, installing softwares and managing internal networking. But for an established company or an established bank, the role of the CTO is to manage its overall system, guide his/her team in executing all the technology operations for the smooth functioning of the company and also to direct technological development of the business. I don’t believe that ‘just anyone’ can become a CTO. For leading the IT department and directing the technological adaptation and advancement of a business entity, one needs to possess certain traits. For example, good CTOs should be able to apply practical knowledge to build better software. They shouldn’t rely on people under them or consultants for technical expertise. Those that lack technical discipline may end up authorizing decisions that lead to a lot of ‘technical debt,’ which is harmful or incorrect code which will need to be recreated. Besides, CTOs should have experience with both managing people and guiding technical strategy. Technical discipline, after all, comes from seeing projects through and learning from successes and failures. They should have experience managing people as well as the process.